This week on Spellburn, we’re taking a deep, dark look at the world of DEMONS. Sure they’ve been around since the days of AD&D, although they apparently got a little too hot for some game companies in the late 80s. But they’ve always been a part of Appendix N and nothing could be more old-school than featuring them in your Dungeon Crawl Classics game. We’ll talk about how to use them as bad guys, Patrons and NPCs, the spells that bind them and even thoughts about running campaigns on their home turf– in the Abyss. Hey folks! The Spellburners need more reviews on iTunes. Can you help us out by giving us some stars? Click here to support Spellburn! Page 358, Magic Here and Magic There, may help your writer with a problem with Blessing. I made use of this in The Falcate Idol (http://www.rpgnow.com/product/116424/CE-1–The-Falcate-Idol?sorttest=true) and Icon on the Blood Goddess in In the Prison of the Squid Sorcerer (http://www.rpgnow.com/product/111964/In-the-Prison-of-the-Squid-Sorcerer?sorttest=true). 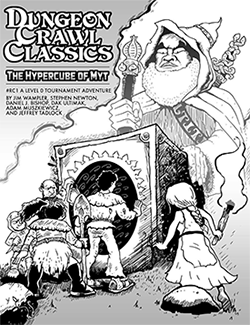 The Shaft Crawler in Silent Nightfall (http://www.rpgnow.com/product/121800/CE-5–Silent-Nightfall?sorttest=true) offers another example of how overuse of a spell can have unintended consequences.